Bella Casa was established in 1990 with a goal to build trusted, long term relationships by providing professional quality craftsmanship and a true dedication to each of our client’s personal needs and goals. 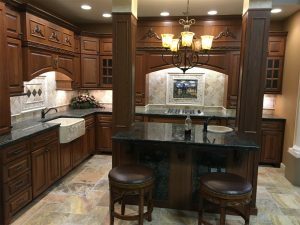 With hundreds of projects of all sizes and scope in our portfolio ranging from kitchen and bathroom remodels, to roofing, siding, masonry construction, outdoor living spaces, and more, we have an established client roster that speaks to the quality craftsmanship and competitive pricing we deliver on every project. We make it a priority to offer each of our clients the greatest quality home improvement service by utilizing modern building practices, state of the art equipment, as well as a team of highly trained and experienced contractors for each project we take on. We are committed to providing 100% complete customer satisfaction. Over the 25 years of our existence, we have gained a reputation throughout the New York City region as being the premier home improvement contractor. We are based in Rye, NY and service clients throughout the Westchester County area and beyond! We fully understand the importance of completing each project we take on in a safe and efficient manner. This is why Bella Casa Contracting has developed comprehensive work safety procedures that will ensure that the working environment is safe and secure. If you are interested in learning more about Bella Casa’s home improvement services, you can contact us today at (914) 943-7124 to schedule your free consultation and estimate. For your convenience , we also have a contact form located at the bottom of this page. request form. We look forward to hearing from you!